As the warmth of summer fades away we’re met with orange-red leaves, cooler evenings, and shorter days. It’s often the kind of weather that makes us reluctant to leave our homes, but with the autumn-festival circuit on the rise there will be plenty of opportunities to leave the nest. From a day filled with bubbly drinks to tasting the tantalising cuisine of Morocco, we’ve chosen five of the best festivals in SA over the autumn season. 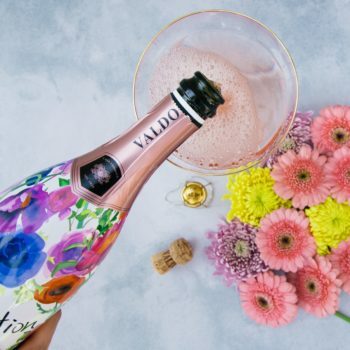 At this glitzy celebration of all things bubbly, festivalgoers will be able to taste and buy over 20 different sparkling wines from around the world, including French Champagne, Italian Prosecco, and some of SA’s finest Methode Cap Classiques. Guests can expect to see local bubbly brands like Simonsig, Graham Beck, Pongracz, and Boschendal showcasing their best sparkly offerings. This year’s dress theme is blue and white, and there’s a best-dressed prize to be won! On at the Polo Club at Inanda in Johannesburg on 13 and 14 April 2019. The exciting inaugural African Food Festival kicks off this weekend with a large variety of food for you to indulge in that will represent 20 African countries. Expect a trip around the continent as your taste buds are treated to explosive flavours hailing from Morocco, Angola, Cameroon, and Egypt. There will be African dance showcases, poetry, and live music performances throughout the day, too. A feast for the eyes and palate that is not to be missed! On at the National Botanical Gardens in Pretoria on 13 April 2019. 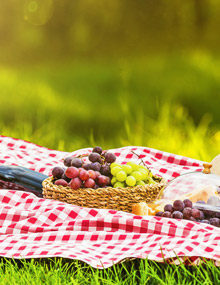 At this year’s instalment of the Cool Wine and Country Food Festival, over 10 wineries across the Elgin Valley will open their doors to visitors both near and far. 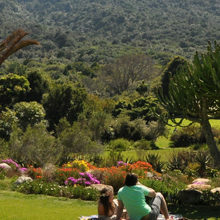 Each wine estate offers a unique programme of activities available to festivalgoers, from free wine tastings and live music to discounted food offerings. Kids are welcome to tag along, making the festival perfect for a family outing! Be sure to take in the beautiful sights of the orange-tinted vineyards as you traverse from one wine estate to the next. On at the Elgin Wine Valley in the Overberg region from 27 till 28 April 2019. The beloved SA Cheese Festival is in its 18th year! And for its 18th birthday, this year’s festival is offering 18 different experiences. 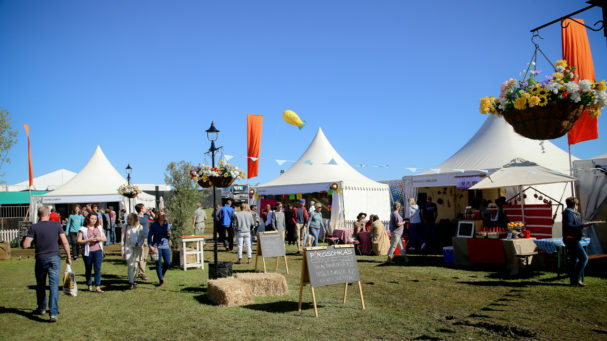 Festivalgoers can relish a delicious cheese tasting or participate in a cheese-carving competition, while kids may enjoy petting friendly cows and goats at a makeshift milk factory – how adorable! On at Sandringham Estate outside Stellenbosch from 26 till 28 April 2019. Calling all wine connoisseurs! 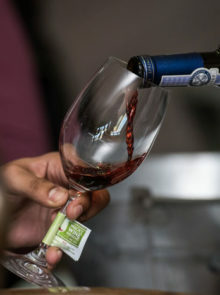 This year’s 16th annual Wacky Wine Weekend, held in Robertson, is a highlight on the social calendar. 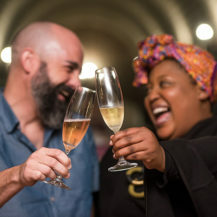 Visitors can expect to meet with representatives of over 30 established wineries across the country while tasting the very best SA’s wine industry has to offer. For the duration of the weekend you’ll be sipping on award-winning wines, enjoying a number of food and wine pairings, and listening to incredible live music – a fantastic weekend is guaranteed! 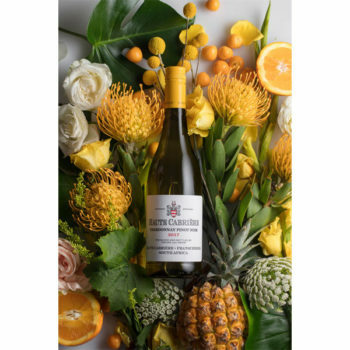 On at Robertson Wine Valley from 7 till 9 June 2019. Our first #WackyWineWednesday winner will be announced on 7 March. Prize includes x2 Wacky Wine Weekend passes, 1 litre of olive oil from Windfall Wine, x1 Magnum Graham Beck Bubbly MCC, x6 Branded wine glasses, x2 meal vouchers from Platform 62, an underground cellar tour and wine tasting for 2 at Weltevrede Wine Estate & merchandise. Enter at http://bit.ly/2piJLTP and #TastetheLifestyle.